Stormy Daniels’ former attorney, Michael Avenatti, was arrested yesterday on multiple charges – including trying to shakedown Nike for over $20 million. 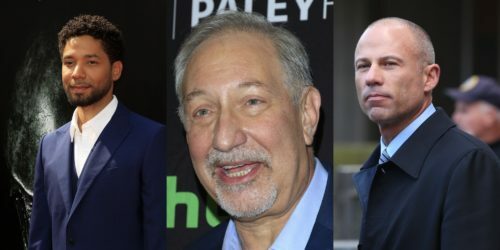 Avenatti’s alleged co-conspirator, celebrity attorney Mark Geragos, currently represents Empire actor Jussie Smollett who is accused of faking a hate crime. Avenatti was released on a $300,000 personal recognizance bond after a brief court hearing and was ordered to have no contact with Geragos. Authorities allege that Avenatti and Geragos concocted an elaborate scheme meant to force the athletic apparel company into paying them millions of dollars to keep quiet about allegations the company paid the families of student athletes to get them to wear their products. Avenatti allegedly threatened to hold a press conference meant to coincide with the company’s quarterly earnings report and the start of the NCAA basketball championship tournament. Avenatti was arrested approximately 15 minutes after tweeting that he would hold the conference today to disclose “criminal conduct” by corporate executives. Nike was already cooperating with federal authorities in an investigation into the alleged misconduct. Avenatti is also facing charges of bank fraud and embezzling money from a former client in separate cases. He did not address those allegations.